The Federal Government yesterday warned Peoples Democratic Party (PDP) presidential candidate Atiku Abubakar against resorting to self-help over the outcome of the February 23 election. It asked Atiku to realise that the only lawful channel for challenging the result of an election is the court. Any act capable of triggering a crisis will not be condoned, the government said. Mohammed added: “There is no doubt that the PDP presidential candidate, out of desperation, is thinking of replicating the Venezuelan model right here in Nigeria. But he should realise that Nigeria is not Venezuela, and that the situations in both countries are not the same. “There is no doubt that President Buhari’s victory is well- deserved. As I said at a different forum, it represents the triumph of the ordinary Nigerians over the elite. “The election is a direct contest between ordinary Nigerians and the elite, most of whom are rent seekers. Of course, the ordinary Nigerians have won. This is not a surprise, considering the pro-poor policy of the Administration. Although the minister admitted that it is within the fundamental human rights of Atiku to go to court on the results of the Presidential Election, he cautioned him against seeking U.S. recognition as the winner of the poll. He said: “ Alhaji Atiku Abubakar has the right to do whatever is lawful to challenge the outcome of that election. But he cannot get through the back door what he couldn’t get through the front door. That will be a pipe dream. “ If he believes hiring a foreign lobbying firm will advance his quest, we wish him the best of luck. But seeking U.S. recognition as the winner of an election that he lost by almost four million votes is unconscionable. “Recall, gentlemen, that after the result of the presidential election was announced, the U.S. joined other countries to congratulate President Buhari. “Let me read a part of the statement by Michael Pompeo, the U.S. Secretary of State: ‘We commend all those Nigerians who participated peacefully in the election and condemn those whose acts of violence harmed Nigerians and the electoral process. We note the assessments of international and domestic observer missions affirming the overall credibility of the election, despite localised violence and irregularities. Going forward, the United States remains committed to working together with Nigeria to achieve greater peace and prosperity for both our nations.’ I think that says it all. Mohammed said losing an election is not the end of the world and warned Atiku against resorting to self-help. “He has challenged the result of the election in court. That’s just as well. However, he should not give the impression that he does not have confidence in the judicial process, which is what resorting to self-help implies. Responding to some questions, Mohammed added: “To answer your question, I won’t use the word as strong as treasonable felony. I will simply say that any act of anybody capable of triggering local crisis will not be condoned by this government. “To the question that whether or not we are trying to intimidate Atiku, I think he is the one trying to intimidate this government. A government is not just there for elections, a government is there to preserve law and order and ensure that every citizen, no matter what his interest and rights are, is free to go about and achieve his or her aspirations. “But when you now overheat the polity and you behave as if the country is at war, no responsible government will sit by and overlook it. The minister insisted that Buhari won the presidential poll based on his integrity and performance in office. He added: “This is a government that has done so much with less in restoring decency and integrity to governance. Like the New York Times said, the re-election of President Buhari is a referendum on honesty. 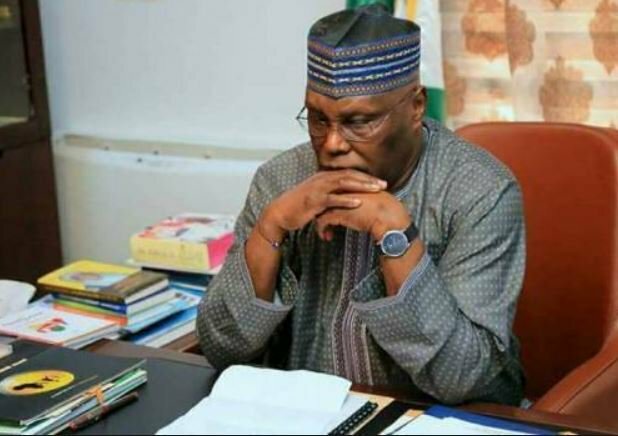 But the presidential candidate of the PDP, Atiku Abubakar said he did not pay a United States lobby group $30, 000 to prevail on the US Congress to stop the May 29 inauguration of President Buhari. The Buhari Campaign Group had alleged that Atiku paid the group to push for his recognition as the winner of the February 23 presidential election. Reacting through his Media Adviser, Mr Paul Ibe, Atiku said the allegation was “diversionary”, adding that they are “shameless lies and dirty propaganda” against Atiku. In a statement, he said lying had become a culture of the All Progressives Congress (APC) administration and, the Atiku camp was not surprised by the diversionary allegations. The statement said: “Since Atiku resisted pressure not to go to court, the APC has been behaving like a cat on hot bricks because the outcome of the 2019 elections has exposed and shattered the facade of their dubious integrity.